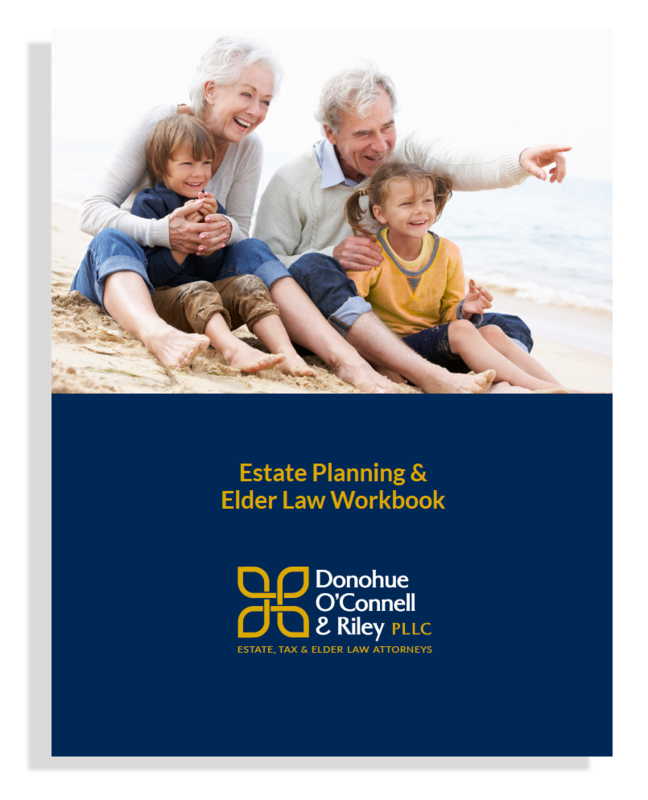 The Donohue, O’Connell & Riley team invites you to make use of our Estate Planning and Elder Law workbook. This resource contains wisdom and insights of our attorneys, who have over 100 years of collective experience helping families to protect their assets, maximize their tax savings and avoid probate court. We hope you use the information and exercises in these pages as aids to navigate the financial and emotional complexities associated with the realities of aging. Rather than thinking of estate planning as a morbid chore, we invite you to view the work you’ll do as an opportunity to live life to the fullest in the retirement years and maintain comfort and dignity as time passes. Furthermore, proper advanced planning ensures that you will leave your assets to future generations so your life’s work can help to fulfill their needs, goals and wishes, and not be drained by the costs of taxes, long-term care and lengthy legal proceedings. These tools will help guide you as you plan your legacy and prepare for the road ahead. Download our Estate Planning Workbook to help guide you as you plan your legacy and prepare for the road ahead.